Modern day organizations struggle to fully explain the value they provide to the business owing to the dynamics of operations. Impax plays a major role in addressing these challenges by reducing costs and drive business decisions by managing the physical inventory. Impax is a leader in full life cycle asset management solutions. We integrate professional physical inventory services, cutting edge software systems and work with industry leading manufacturers to simplify automating the tracking and managing of asset throughout their lifespan. 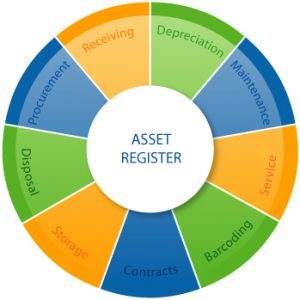 Asset tagging involves physical identification of assets across the organization and then attach barcode tags to each asset. Once the tagging is complete, the assets are recovered by means of asset stock take activity. This activity involves physical stock take of asset by scanning the tag of each asset using a hand-held scanner. Once the scanning is complete, the scanner is attached to the Smart Asset System for downloading of data. This data is then reconciled with the data stored in the database. After the software carries out reconciliation, a report is presented to the user stating whether the assets are in line with the database. This ensures that right assets are placed in appropriate locations.